Shaving can leave your face feeling dry and irritated, resulting in sore and red patches throughout the day. Well, now's the time to combat those post-shaving blues, simply by applying a dash of SkinChemists' innovative aftershave afterwards. A clever 2-in-1 formula that combines post-shave treatment with a soothing moisturiser, it's perfect for everyday use. What it does: our wkss men-fix after shave & moisturiser seamlessly combines two steps of your daily regime into one easy to use product.the blend of active ingredients work to soothe the skin from any post-shaving redness or irritation, whilst prepping the skin for the day, protecting against daily damage with a mattified finish. 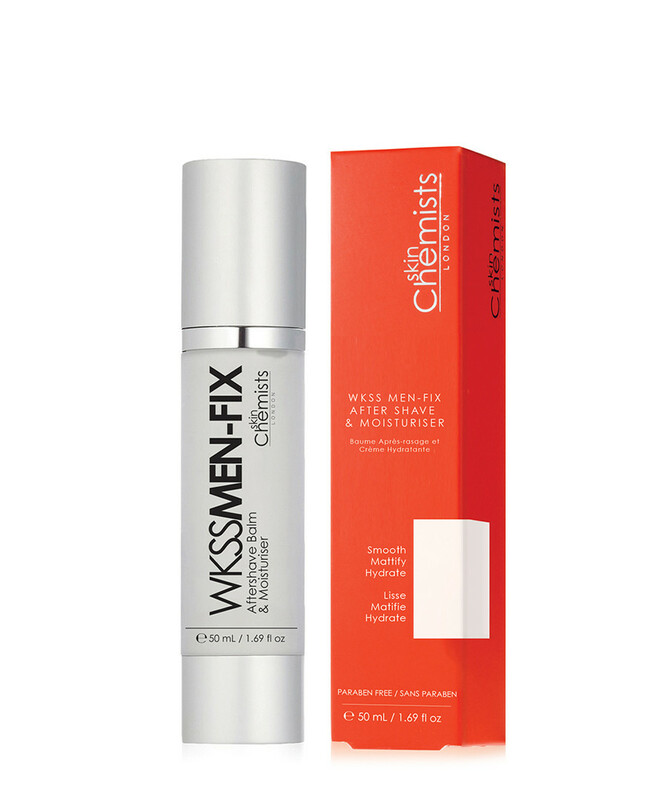 Essential details: WKSS Men-Fix After Shave & Moisturiser seamlessly combines two steps of your daily regime into one easy to use product.The blend of active ingredients work to soothe the skin from any post-shaving redness or irritation, whilst prepping the skin for the day, protecting against daily damage with a mattified finish. The main active ingredients in the formulation are Syn-Ake works to freeze, firm and hydrate the skin, aiming to smooth the appearance of expression lines. Allantoin works as an anti-irritant, helping to eliminate skin irritation and redness caused by shaving. Vitamin E has anti-inflammatory and antioxidant properties, working to prevent skin damage and to leave the skin protect against daily environmental damage. Gransil DMCM-5 leaves the skin mattified, smooth and non-oily.